Mama Mia Cuisine is a gorgeous website designed around a handful of stunning, high-quality photos of their mouth-watering dishes. The design features a bold, universal color scheme based on the red in the logo. 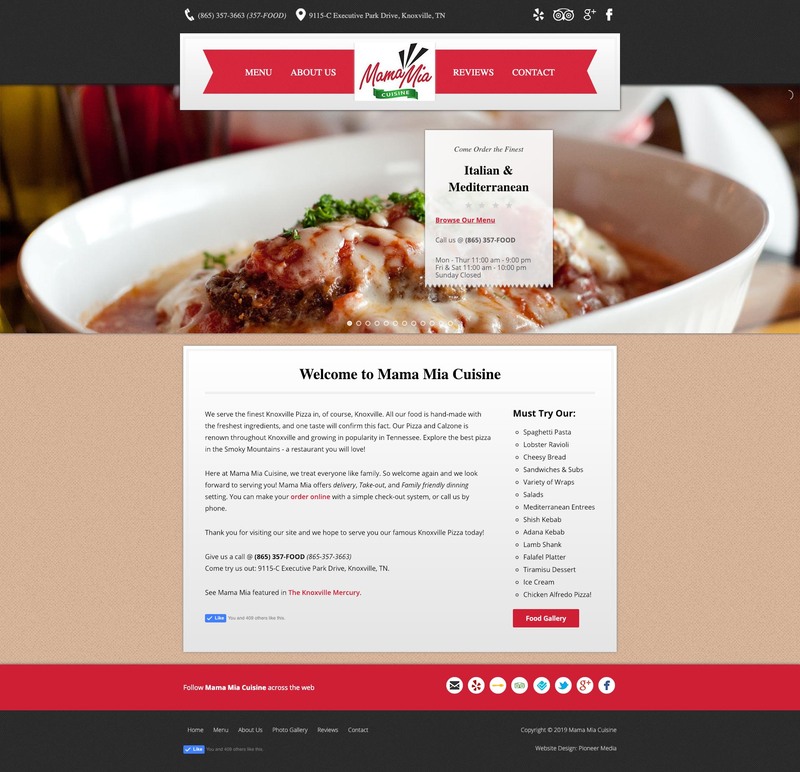 The site begins with an HD, full-width slideshow of some of Mama Mia’s entrees and quick contact information. The website is designed with numerous subtle shadows, textures and gradients. Each graphic on the website displays in HD on modern Retina devices. All important contact information, such as phone number, email, address, and opening hours are clearly visible. 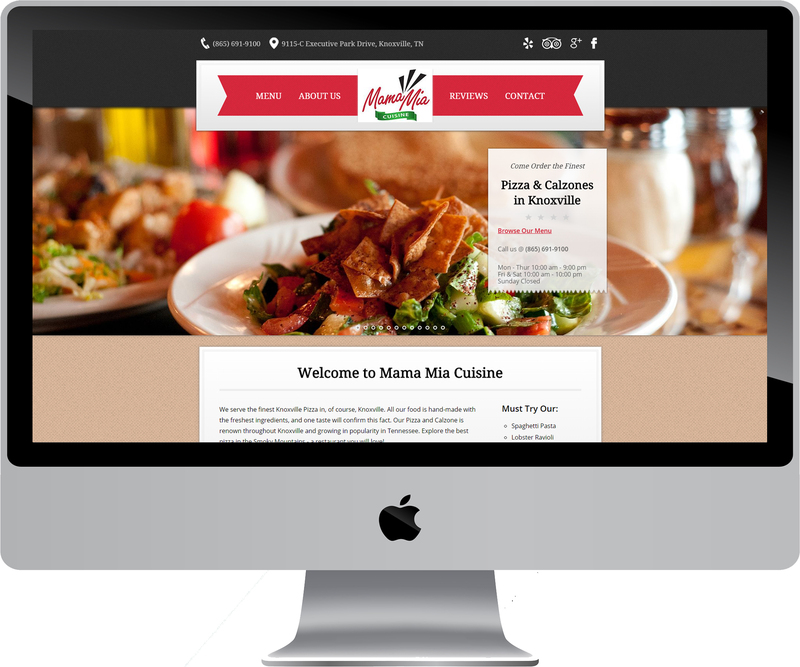 Links to various social media accounts for Mama Mia Cuisine are displayed on every page. Mama Mia’s high-def photos are clickable for fullscreen viewing. Their full menu is available online, complete with online ordering and secure payment! This website is built with a responsive design, so all devices and displays render it perfectly. Critical contact info is just a tap away on smartphones. 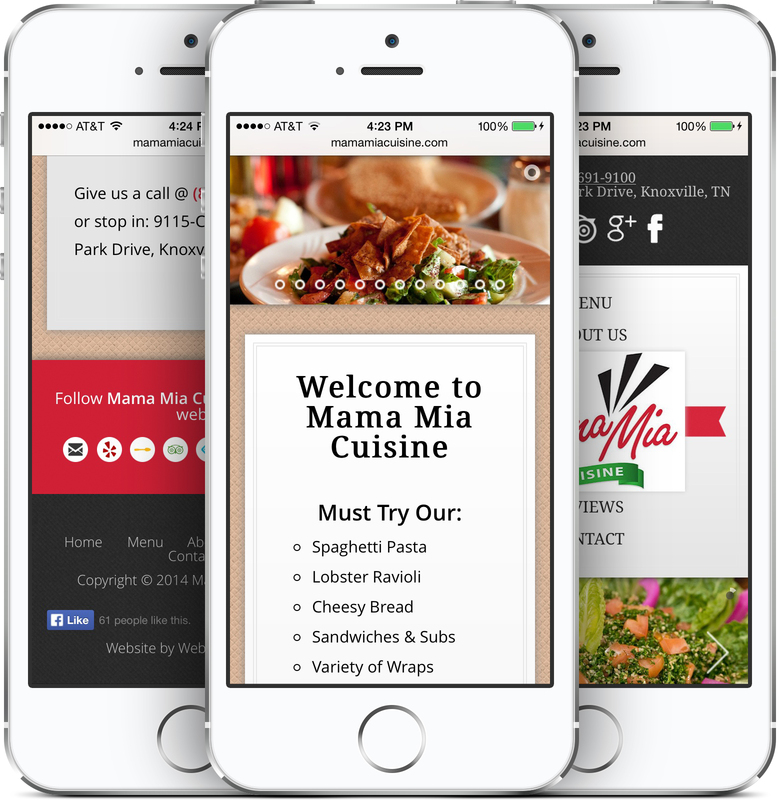 Mama Mia Cuisine is a local favorite restaurant in Knoxville, and their newly redesigned website beautifully complements the beloved restaurant. 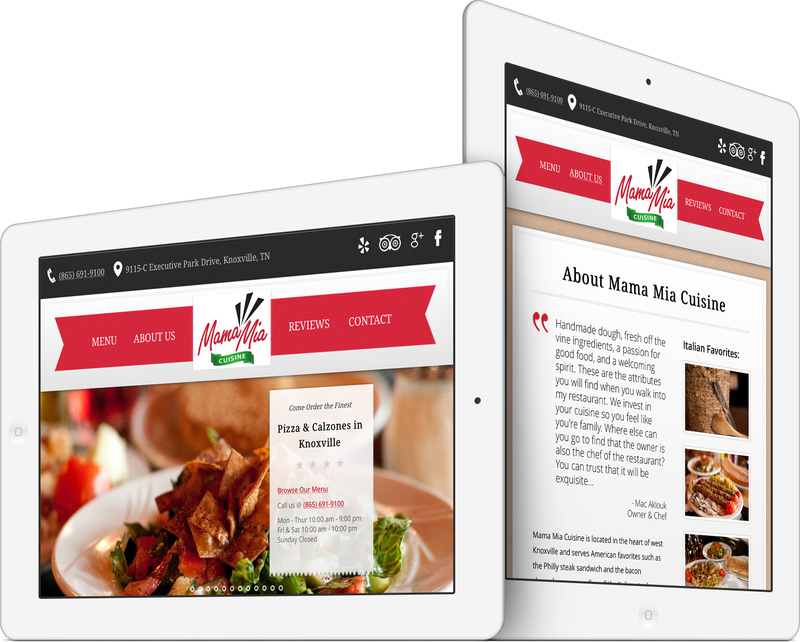 Pioneer Media actively provides Knoxville web design, management and hosting for Mama Mia Cuisine. We serve the finest pizza in Knoxville. All our food is hand-made with the freshest ingredients, and one taste will confirm this fact. Our Pizza and Calzone is renown throughout Knoxville and growing in popularity in Tennessee. Explore the best pizza in the Smoky Mountains – a restaurant you will love! 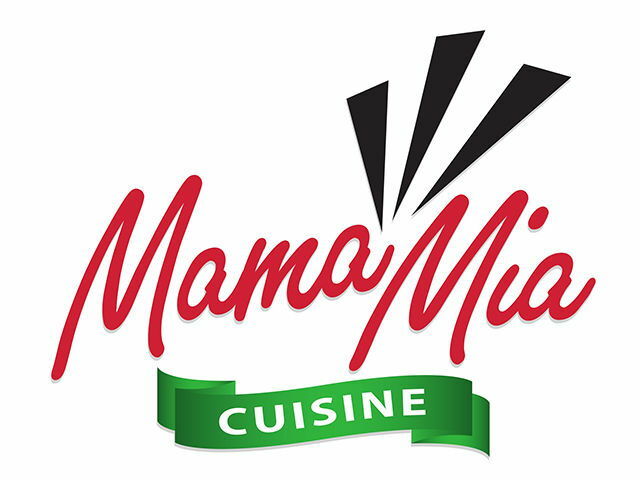 See the live website at MamaMiaCuisine.com.